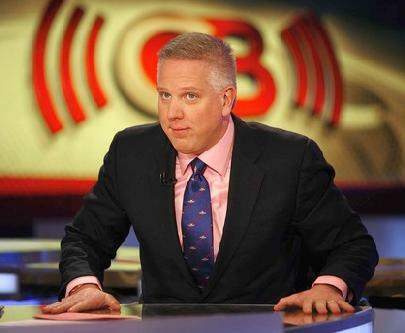 Is the End Near for Glenn Beck? *Don’t get too excited yet, but more and more it’s looking like it’s about to be all over for Glenn Beck. Fox News execs are reportedly considering dropping the controversial talk-show host when his contract expires in December, a consideration prompted by a precipitous drop in ratings and fears that his outrageous rants are damaging their credibility. After the contentious health-care debate and midterm elections passed, Beck’s viewership dropped 30 percent-a loss of 1 million viewers in the young demographic. Hundreds of advertisers have pulled out as well. Execs have reportedly held discussions with Beck, urging him to make the tone of show more upbeat. No, what will happen is he will be picked up by some fringe tv or radio outlet and become even more popular among the idiots that listen to him because he will have less of a muzzle on him. Good!! I hope he is cancelled but like jazzfan says he will be picked up by someone else. My!!! he just makes me sick. Glen Beck knows there is an end coming and all spiritual eyes are on the God of Israel. Either you are with Jacob, Israel Genesis 35:10 * or you love the world like Esau is called Edom 36:8. Glenn Beck is a crazy azz fool of the Mormon faith which teaches its followers that black people are the devil. Well now he’ll be able to wear his Klan attire in public and march openly.